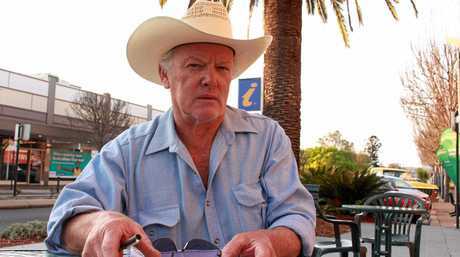 A SINGLE phone call that brought a Massie grazier back from the point of hopelessness has shed light on why so many who are suffering will turn down the help at hand. Still sweaty from loading the last of his horses onto the back of a truck, John Petersen couldn't see light at the end of a tunnel. Having lost his entire livelihood to drought, he was ready to give up his property for good. Strongly believing he was beyond help, Mr Petersen almost hung up on the Queensland Country Women's Association volunteer at the end of the line. "We had gotten rid of all our cattle and were just about to send the horses off and I thought there was nothing anyone could do," Mr Petersen said. "I told her, 'We're done, we're finished'." But the woman refused to give up and pleaded with MrPetersen to stay on the line. "She just told me to keep talking, please keep talking," he said. "I thought they were just offering fodder, but that's when I realised there is so much more they can help with that I was not aware of." Mr Petersen said farmers were so focussed on keeping their animals and properties afloat, they didn't think to ask for help. "When people who live in the bush really do it tough, we are just focussed on the problems of the day," he said. "The issues you have are so enormous and mind-boggling that you don't believe there is anything people like the CWA can do." But the perseverance of one volunteer transformed Mr Petersen's outlook on the future. "It has given us hope," he said. Through his conversation with the QCWA volunteer, MrPetersen discovered financial assistance was available for different things like travel, machinery and farm upkeep. The news gave him and his wife the boost they needed to be able to stay on their property. "Most of all they have given us the knowledge that there are other people around that want to support us," he said. QCWA Border Division president Margaret Grayson said the organisation purposefully made the application process for drought assistance simple and easy. "We can help with water, fodder, paying bills," she said. 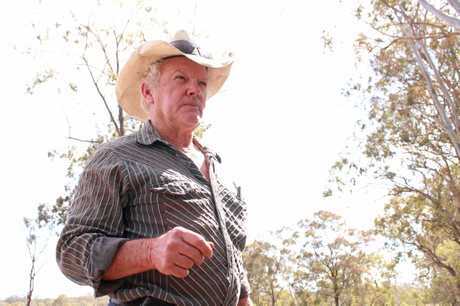 "Even fixing machinery and buying pumps, anything the drought has affected. You can get up to $5000, and in addition to that things like vouchers for Coles, Woolies or a store credit somewhere." Helping graziers maintain a sense of autonomy was important in administering drought assistance, Mrs Grayson said. "It is more about making people feel they are valued," she said. "So instead of giving people stuff, you have to value what is important to them and give them the option to buy what they believe they want and need." Mr Petersen said financial assistance from the QCWA helped "fill in the gaps" not covered by Centrelink's farm household allowance. "(The farm household allowance) can help put the food on your table, but if you can't afford to drive into town to buy the food then it's no use," he said. 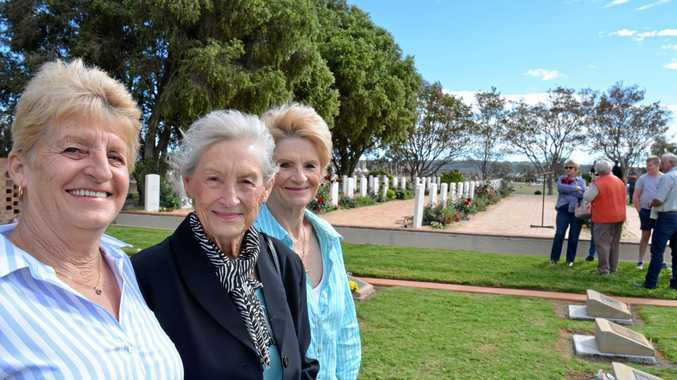 "That is where the QCWA can help." Mr Petersen said he hoped to send a message to other farmers that no one was beyond the point of getting assistance. "Just please pick up the phone, talk to the CWA ladies, because they have numerous assets they are in control of." One-page drought assistance forms are available through the QCWA website and in various locations such as the Warwick Saleyards and George & Fuhrmann. Contact the QCWA on 4664 8083.